Alien Explorations: Alien : Space Jockeys with Sommelier Knife bodies ? 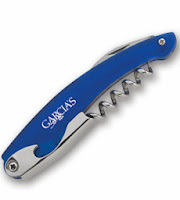 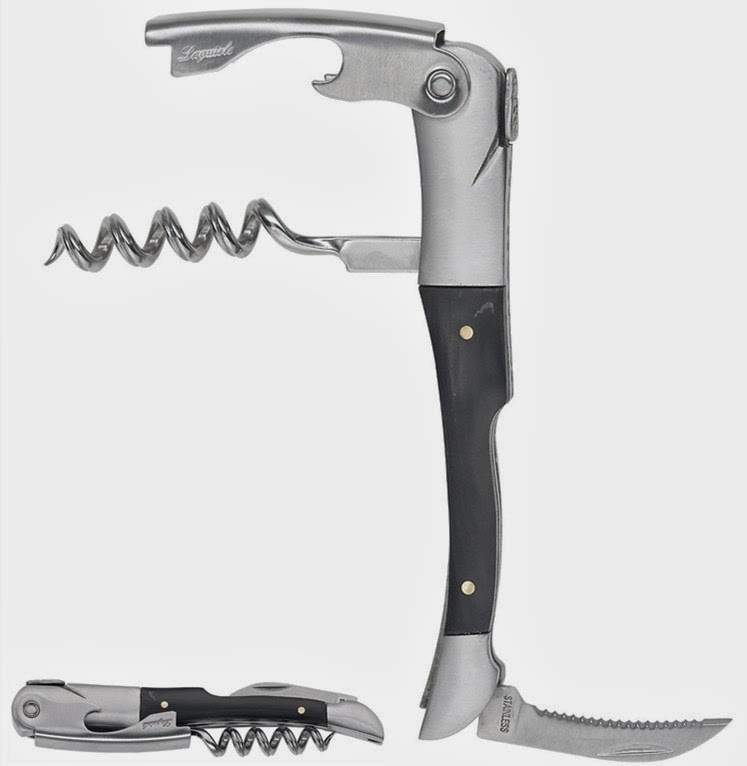 Alien : Space Jockeys with Sommelier Knife bodies ? 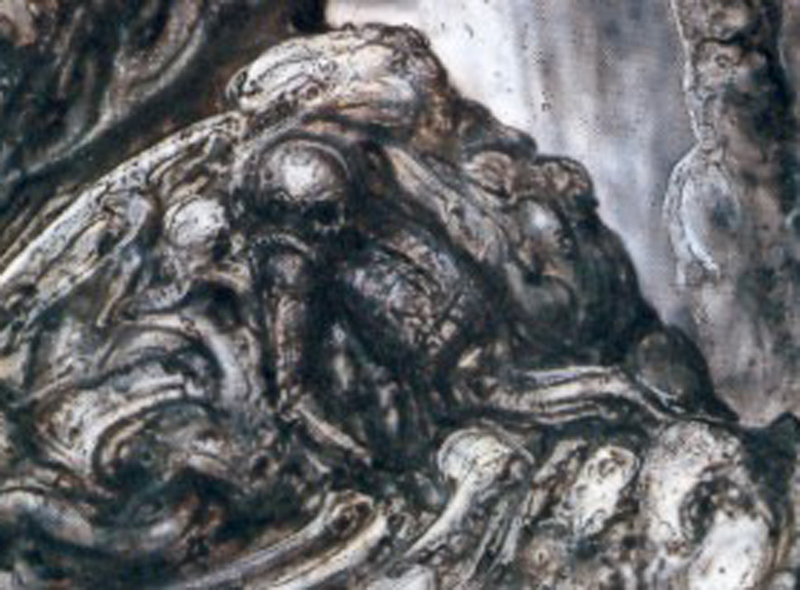 a) I wondered for years about design ideas that Giger seemed to have had behind the strucuture of entities in his artwork that would inspire the final Space Jockey. 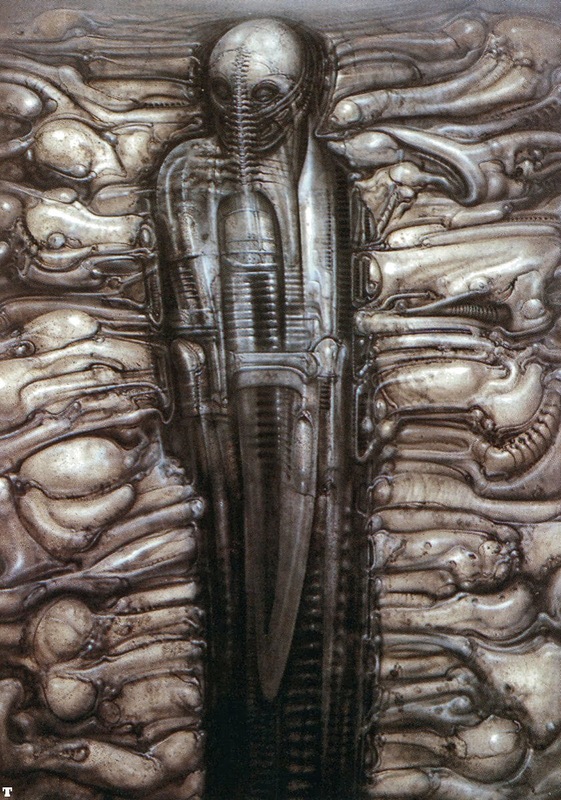 The form of the Space Jockey fused together with its space ship pilot seat and telescope in Alien appears to have been inspired by the form of the ancient Egyptian Henu barque and it's cradle and sometimes the entity without cradle were still inspired by the form of the henu barque because of the skull being placed upon one end of a bow shaped body. 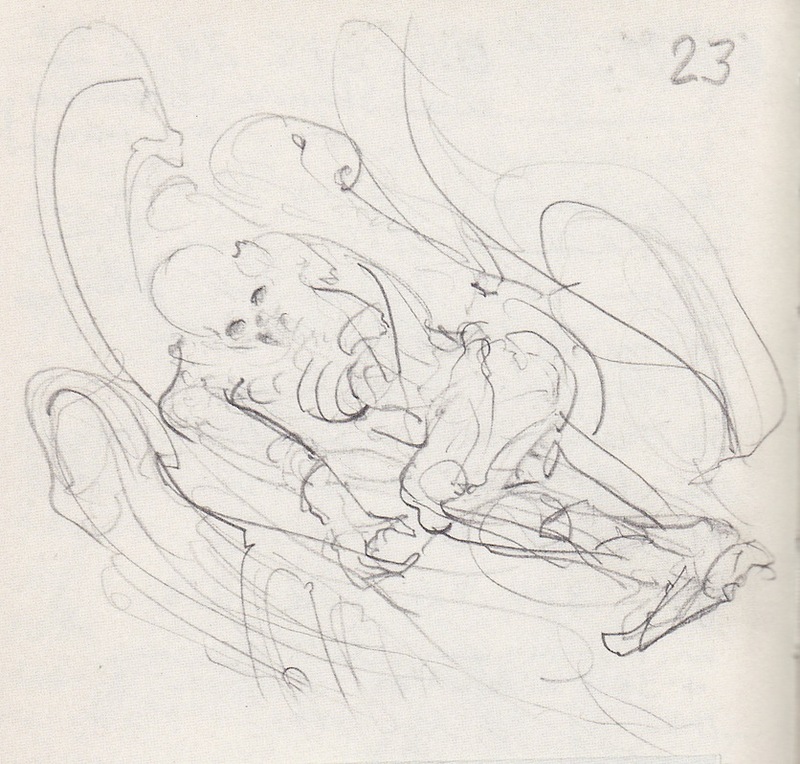 I wasn't so sure that a Space Jockey should have two legs like a human being but for the sake of adapting the design of the Space Jockey as a humanoid, it can. 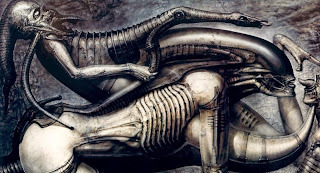 b) However Giger had drawn some depictions of the entity with a near noticably single lower limb and whatever was shown of the thing, some people had been inspired to ask whether it had one leg or two? 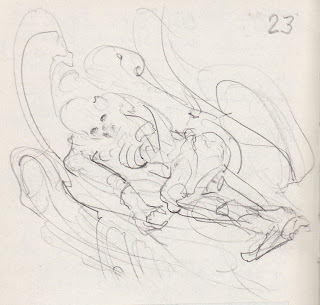 Perhaps the other leg was hidden, but it reminded me of a complicated pen knife apparatus. Giger's painting "The Samurai" was of a "space jockey" type entity but a different body and then I soon realised, November 1st 2013 that its body reminded me of a sommelier knife which is a foldable wine opener invented by a German named Karl Wienke back in 1882, which is something that virtually every household is going to have . 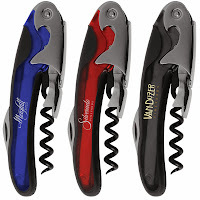 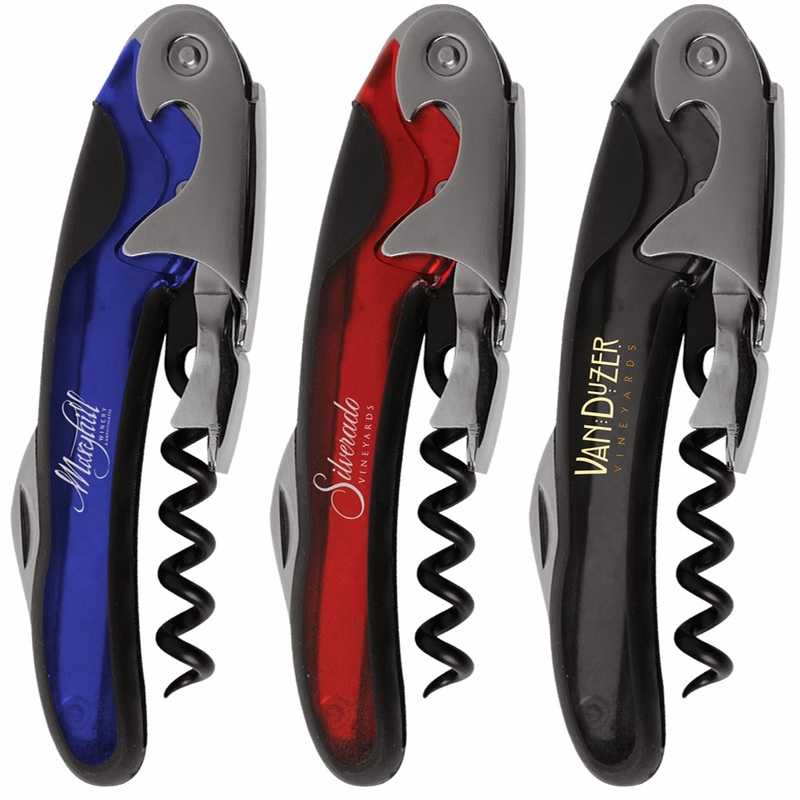 The depictions of such entities with a single visible lower limb also reminded me of an unfolded sommelier knife, sometimes known as the "Waiter's Friend". 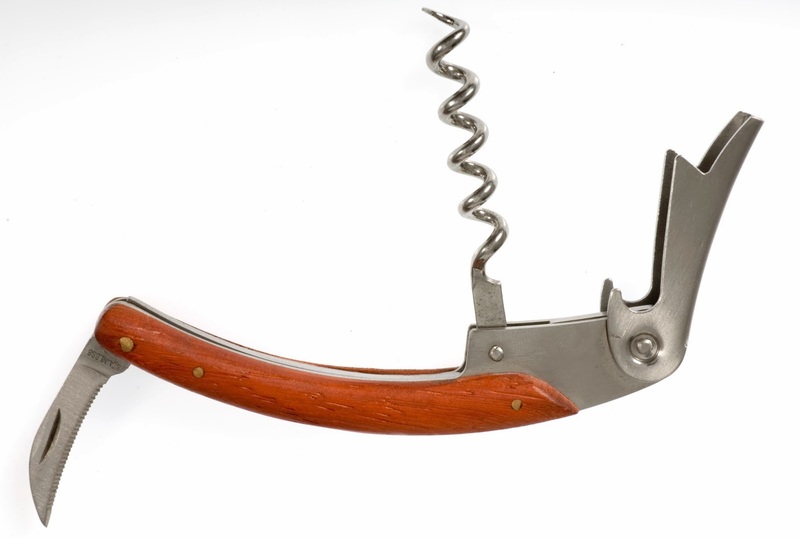 Since the invention of this device, there have been numerous slight variations, some with shapes extremely more organic than others. 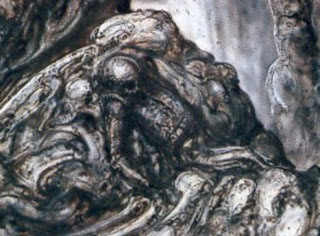 In Giger's view this figure at the centre of Samurai is a "nucleus" composed from sword like elements.